As you all probably know, when it comes the benefits trees provide to us, size makes a big difference. There are many studies from all over the world, but they all come to the same conclusion – bigger trees, bigger canopies give us greater benefits. That’s why when it comes’ to urban planning decisions; the retention of existing large trees should be a key objective for our Sydney urban forest management. Now, most of you probably have heard claims about plants’ replacement more than making up for the loss of existing trees. Well, it’s a disappointing fact that in the last 50 years we have been totally unsuccessful in growing large trees in Sydney. This is partly due to a failure in the past to understand the soil volume requirements for healthy stable tree growth. Other reasons are the problems with recognising the importance of our urban trees, cutting costs for planting preparation as well as pressure from local investors. That’s why our local councils should be providing the best outcomes for everyone in the city, not just the developers who want to maximise their profits by cramming in the biggest floor space permitted in the planning scheme or getting the absolute maximum number of dwellings in a subdivision. To find out more about how to protect our urban forest follow our Bradshaw Tree Services blog or visit our website. 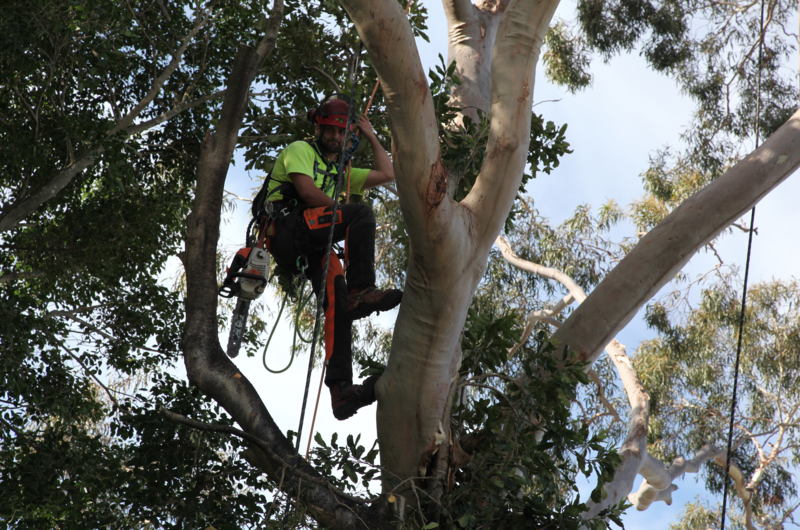 If you are in Sydney and have a tree removal enquiry, call Bradshaw Tree Services today.